B-Horizon is the pioneer in the design of integrated circuits, ranging from simple to highly complex ICs and FPGAs. B-Horizon is the link between our customer and the semiconductor manufacturers. We provide our customers with the service of managing the complete development process of ICs and FPGAs, starting from the idea and leading to series maturity. Our customers rely on the experience of our highly competent teams. B-Horizon supports companies in realizing their innovative ideas. We develop integrated circuits for automotive, industrial, consumer and IoT applications. Our know-how and our long-standing business relationships with our customers and semiconductor manufacturers speak the language of success. After an in-depth consultation starting with the individual business model concept and leading to the drafting of all relevant requirements of the system, we start with our customers into the development phase. During the complete development cycle of the project, we provide a comprehensive array of services which are tailored to the customer´s needs and their business model. This includes project, change and escalation management as well as design and quality associated with monitoring, validation and qualification of the complete development and continues on to the series release of the product with the drafting of the PPAP. 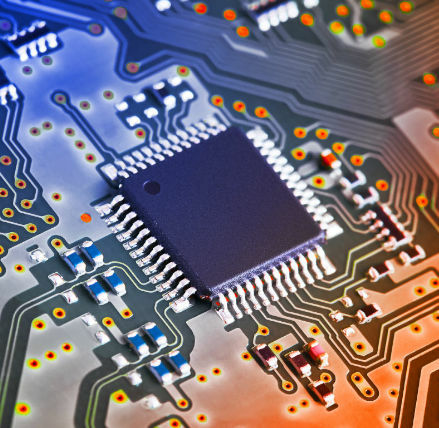 B-Horizon is well acquainted with the development and production processes of semiconductor manufacturers. This means that we can avoid any superfluous correction loops which therefore reduces the time and cost risks of our customers. The services B-Horizon offers in microelectronic development can also be assigned separately. Depending on which stage the customer´s product development is currently in, we offer individual and customized support. Using state-of-the-art know-how, we develop innovative and customer-specific solutions for our customers. B-Horizon´s consulting services go way beyond technology know-how. We put ourselves in the position of our customers and their business operations to understand their needs. Working together with our customers, we find efficient solutions. We support complex processes in microelectronic development and microelectronic management, starting from the idea, moving to the strategy and following through to its implementation. This includes selecting suitable suppliers (sourcing) and business models as well as sustainable and economical cost controlling (total cost of ownership). Using feasibility studies, we analyze possible solutions for our customers´ projects regarding their operability. After completing feasibility studies and selecting suitable suppliers, we support our customers with the drafting of contractual arrangements between both parties. B-Horizon defines solutions, identifies risks and analyzes prospects of success. Our customers include companies out of the automotive and industrial sectors as well as semiconductor manufacturers. 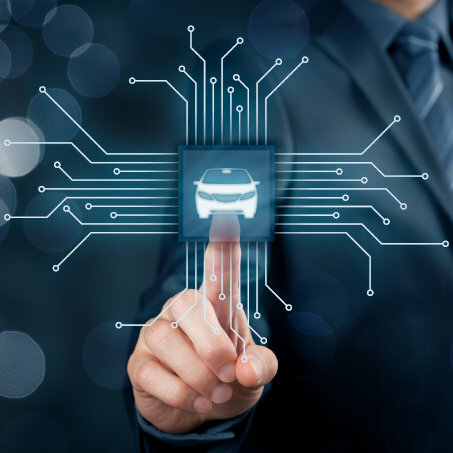 For our automotive and industrial customers, we begin by working together to prepare an individual Business-Case with a detailed statement of costs, a precise time plan, as well as an exact description of all relevant specifications of the system. Subsequently, we support our customers with the selection of a suitable semiconductor manufacturer. Through a multi-layered sourcing process, we help the purchasing manager identify the best possible partner. In doing so, we work using the Total Cost of Ownership approach. As part of our customer service in microelectronic development, we then offer to take over either a part or all of the management during the development phase of customer-specific semiconductors (ASIC, ASSP). Semiconductor manufacturers engage B-Horizon, for example, to support their collaborations with their customers. As an external consultant, we take on the role of moderator and manager, being well acquainted with the development and decision-making processes, especially within the automotive sector. B-Horizon optimizes project activities as well as project controlling with the objective of reducing development time frames and optimizing time-to-market, from the idea to series production. We bring the wishes and requirements of our customers in line with those of their partners. In this way, B-Horizon leads the cooperation to a successful conclusion, to a market-ready and innovative product. B-Horizon´s quality management includes planning, steering, controlling, and process management improvement. Efficient quality management does not only apply to the end product, but involves the complete process, from the idea to series maturity. Today, quality management is a complex system which becomes manageable by implementing our intelligent and efficient processes. Our aim is to consistently improve these processes and in doing so, our customers´ product quality. The quality management system at B-Horizon ensures greater transparency of the organizational and technical processes of our customers. It determines areas of responsibility, reduces costs with the help of error prevention and achieves permanent improvements. For all development projects we follow a dedicated APQP process to ensure design and product quality; starting from feasibility study till full release for series production. B-Horizon´s quality management verifies quality requirements of the integrated circuits that are necessary for successfully fulfilling their future purposes. This process begins even before the selection of suitable semiconductor suppliers (Sourcing). We define all major quality issues, analyze potential error rates and prepare detailed documentations of test coverage. When requested, we conduct production audits certified to VDA 6.3 standards. Development is first complete once the qualification of the components has been carried through. This is done by issuing a test report of the first samples (PPAP and PSW according to Q100 or Q102). From sourcing to series production, B-Horizon is your competent partner for quality management. 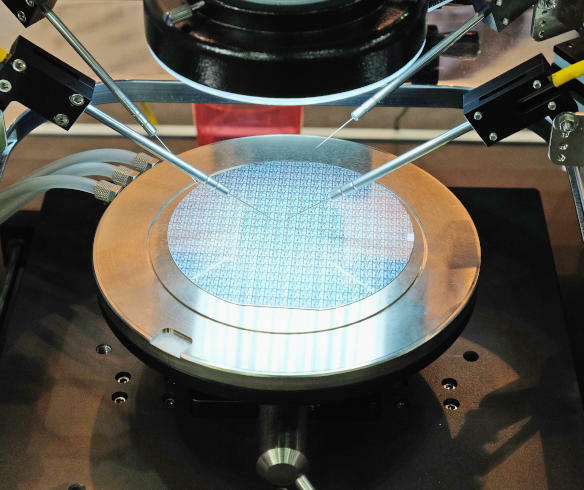 When it comes to the technical and communicative moderation of projects, our in-depth expertise in the semiconductor industry makes us an experienced and knowledgeable partner for our customers.